Oscillator models provide an efficient approach for simulating the dynamic behaviour of the machine, tool, or workpiece. In their application, however, these models are usually limited to describing the vibration behaviour at one specific position since they do not contain any information about the structure of the machine tool or the workpiece. Additionally, the variation in time dependent parameters caused by the material removal process is not taken into account. 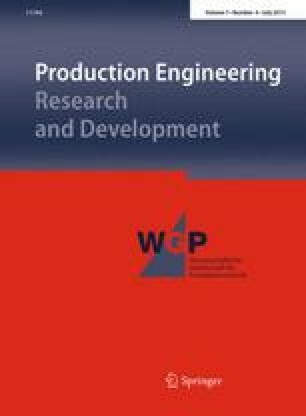 In this paper, an adapted model, which takes the position- and time-dependent modal parameters during NC milling into account, is presented and its experimental validation with respect to the machining of thin-walled components is discussed. This work is based on the research projects BI 498/5-2 “‘Entkoppelte Oszillatormodelle als effizientes Ersatzsystem zur Bestimmung von Stabilitätsdia-grammen für die NC-Fräsbearbeitung dünnwandiger Bauteile” and TR 10 TP T3 “Erweiterung der Frässimulation zur Bearbeitung von Leichtbaukomponenten unter Berücksichtigung von Werkzeug- und Maschineneigenschaften” which are kindly funded by the German Research Foundation (DFG).